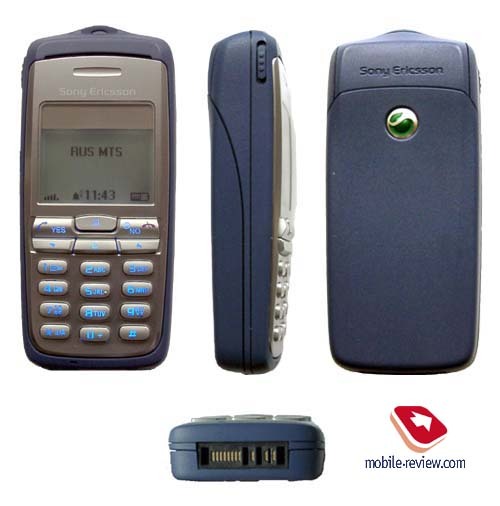 SonyEricsson T600 is the second phone after Ericsson T66, which is elaborated by the specialists of Microcell for SonyEricsson. These phones are very similar to each other. Look, the dimensions of T600 are 92x41x20 mm and Т66 measures 92x41x17,5 mm, T66 weighs 59g. and the weight of T600 is 60g. 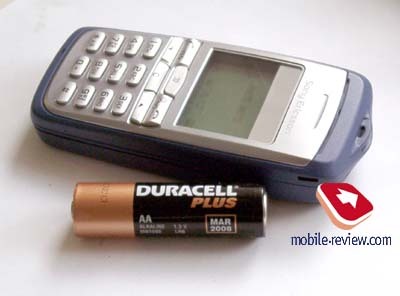 It means that T600 is one of the smallest GSM-phones available on the market. 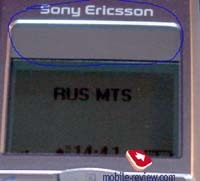 Besides it is a tri-band phone (900/1800/1900). T600 is produced in two colours: Moonlight silver and Marine Blue. 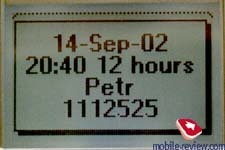 In both cases the phone has a silver rim around the screen and a silver keypad. All keys are made of plastic, they are not large as the whole phone. But in spite of this, there are no problems to work with the keypad. It resembles T66 in the handiness. Keys placed under the screen (soft leys, send key, reject key and menu key) became also comfortable. Keys have a bright blue backlighting, all the information is clearly visible in any lighting conditions. 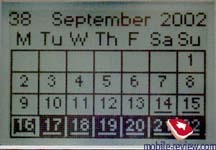 A display is positioned above the keypad, it has a xenon backlighting (resembles pastel blue backlighting in phones from Nokia). The backlighting is realized with a help of 4 light-emitting diodes, placed from above and the bottom of the screen. 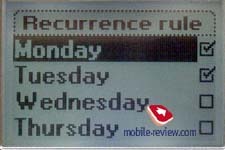 In contrast to the most of SonyEricsson phones T600 doesn't have a dynamical font size, only standard font size is available. 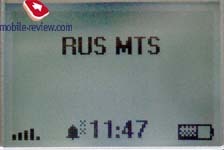 The screen can display up to 4 text lines (18 characters each) and either 1 line with a title or a service line. The information is easy to read, eyes are not tired from the backlighting, unlike the keys backlighting it is not so bright. There is a strap hole on the top side of the phone and a system connector on the bottom. If you look at the left-hand side, you can see a slide volume key. 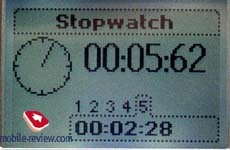 It allows to view an approximate standby time, the current profile settings and alarm-clock status. This feature works correctly. The battery is also similar to the one in T66, it is a lithium-ion battery of 570 mAh capacity. But the time of autonomy is a little bit longer here. According to the manufacturers T600 can work up to 180 hours in the standby mode and up to 5 hours in the talk mode. In practice it really works longer. 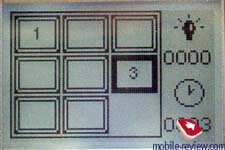 Probably a new screen, which is less power-consuming, increases the time of autonomy. 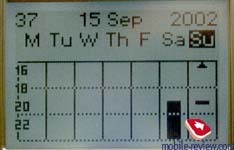 A tested sample worked about 3 days (MTS Network) in case of 25 minutes of talking and 2 hours of using other functions (games, alarm-clock, calendar). It the perfect result for such a tiny phone. The time of charging is about 3 hours. 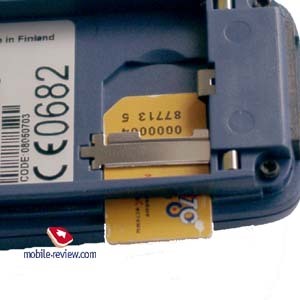 A SIM-card holder is also similar to T66, the construction is not usual. Almost all the functions repeat those of the T66. So, let me take their description from the T66 review. 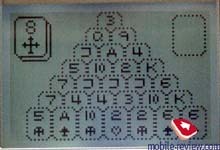 The main differences are that T600 is a tri-band phone, which supports HSCSD, it also has several new games. So, the features are the following. 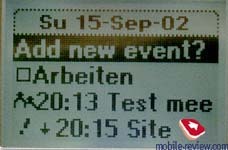 Besides, the phone has a countdown timer and a stopwatch with the capability to show intermediate results. There is a code memo and a calculator. 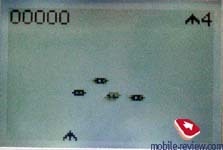 The pre-loaded games are Triango (one of the solitaires), BrickSmash (kind of Arachnoids), UnderAttack (a space shooting), CarRace and MindPuzzle. The phone has really compact dimensions, it can be put in almost every pocket. In spite of dimensions the phone provides a high sound and connection quality. It doesn't have many features such as voice dialing, Dictaphone and others but the size is really nice. It's interesting that the autonomy is quiet sufficient, 3 days is not a bad result. The shortcoming of T66 - low calling alert is eliminated here, the volume is good and the phone could be easily heard in noisy places. Unfortunately a set of ringing tones (15) is not wide, all the melodies are trite and well-known. Of course you can record up to 8 your own melodies. And be it will help you. A vibrating alert is weak, you almost don't feel it. T600 is a fashion phone of high-end class. Hence, it will be rather expensive, an expected price is 300-400$. T66 cost 330$ in the beginning of selling. 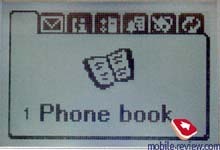 T600 also doesn't support most of accessories from Ericsson, demanded dynamic menu in the phone (for example, mp-3 player, FM radio and etc.). We can recommend this purchase to those who'd like to have a small phone and who don't need much functions. I don't think that this model will be very popular. The SAR level is 0.8Watt/kg (10 grams) or 1.3 Watt/kg (1 gram). It's a little bit lower than T66 has. P.S. 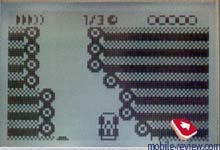 Every new phone from SonyEricsson has more entertainment features, for example number of games is increasing. 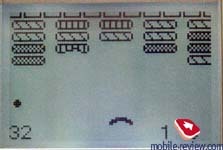 Most likely it the policy of the company, that decided to turn the mobile phone in a kind of game device. The advantages of such policy are clear. The second conclusion is not obvious. Look at the screen more attentively, don't you see that a safety glass covers is larger than the screen? It could mean that the other model with a larger screen would be produced in this shell. It might be named T800, who knows? !